With the World Series in progress, I am reminded of a quote from Washington Post columnist George Will: “Baseball, it is said, is only a game. True. And the Grand Canyon is only a hole in Arizona. Not all holes, or games, are created equal.” Just as the Grand Canyon is inarguably the best hole in Arizona, baseball is inarguably the best game in America. Don’t believe me? In view of baseball’s nine innings and nine players – and my word count – I’ll limit myself to only nine reasons why baseball is great. First, baseball fuses the intensely personal drama of individual sports with the multifaceted strategizing of team sports. 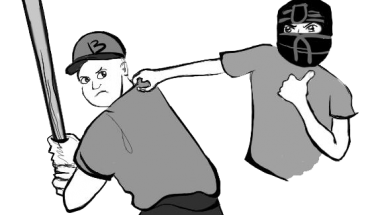 The action centers on the duel between pitcher and batter which gives neither side a recourse to teammates. The batter must face the pitch and the pitcher must throw it – alone. However, each side in that duel has eight compatriots meticulously arranged by the manager in positions and lineup slots that he believes will maximize the team’s chances of winning. Second, baseball is perfect for broadcasting. 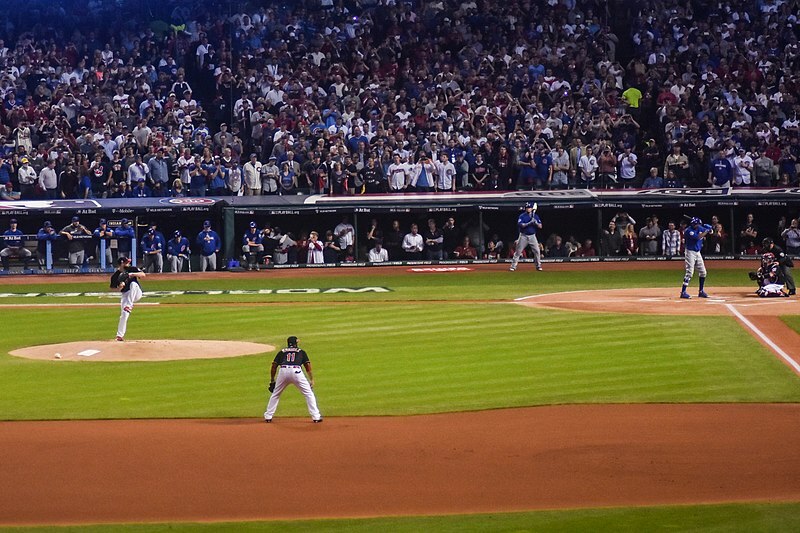 Unlike other sports that require disruptive TV timeouts for advertisers, a baseball game has a minimum of 17 breaks between each half inning, plus likely at least a half dozen more for pitching changes. Much as we hate to admit it, we couldn’t watch sports without advertisers, and baseball accommodates them without disturbing the flow of the game. Third, unlike football or basketball, which are built on action, baseball is built on suspense, the anticipation of action. It holds you on the edge of your seat while the pitcher deliberates on which pitch to throw, the batter settles into the batter’s box, the runners dance as they lead off their bases, the fielders assume the ready position, the catcher sets his glove as a target for the pitcher, the umpire crouches behind the catcher, the batter assumes his stance at the plate, the pitcher lifts his front leg, pushes off the rubber and throws the pitch – and all that suspense is resolved in a cathartic split-second punctuated by the crack of the bat or the call of the umpire. Fourth, baseball requires both teams to play the entire game. No keep-away. No taking a knee. No running out the clock. Each team gets 27 outs, and they must all be recorded to end the game. Fifth, baseball is sturdy enough to stand the test of time, but flexible enough to adapt to new generations. No top-down rule changes fundamentally altering gameplay have occurred since the first World Series was played in 1903, unlike the rule changes to allow the forward pass in football or the three-point shot in basketball. Even so, baseball has seen many bottom-up innovations within the strictures of the rules from pitchers inventing new pitches in the 1910s to managers inventing new defensive shifts in the 2010s. Sixth, baseball’s treasure trove of lore and tales is unmatched. A personal favorite: the National League champion New York (now San Francisco) Giants boycotted the second ever World Series in 1904 because manager John McGraw did not believe the American League was worthy of his respect. He claimed his Giants were already the world champions for having won the only true major league, the National League. Seventh, you don’t have to fret while watching a baseball game. The regular season is a marathon, so each individual game doesn’t matter that much. That may seem like criticism, but it’s actually praise. Unlike viewers of the 16-game NFL season, viewers of the 162-game MLB season can be committed fans yet still relax and enjoy the game. Eighth, the playoffs compensate for any deficit of thrills in the regular season. The MLB postseason is like no other: teams use strategy they would never even consider in the regular season, the opportunities for underdogs and unlikely heroes are bountiful, and nothing beats a game seven between the two best pitchers with everything on the line. Ninth, baseball has home runs. No other sport does. If that’s not the clincher, check your pulse.